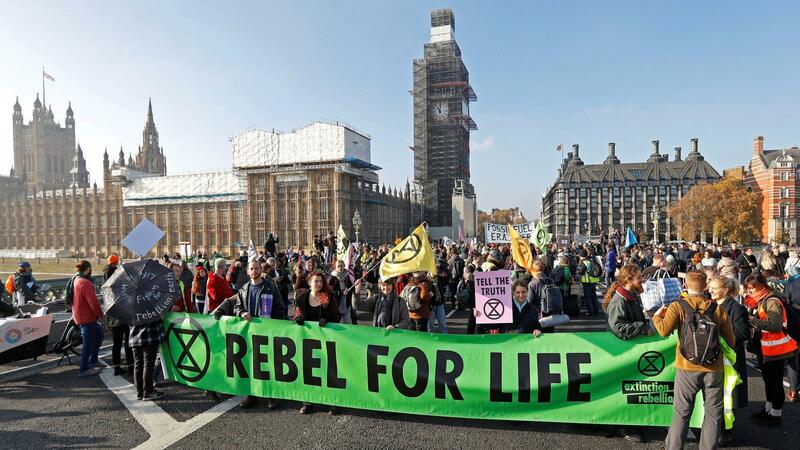 The Extinction Rebellion climate protest group has expanded to 35 countries and is building towards a week of international civil disobedience in April, according to organisers, who are using UN climate talks in Poland to widen its network. Complacency and inaction in Britain, the US, Australia, Brazil, across Africa and Asia – all illustrate diverse manifestations of political paralysis, abdicating humankind’s grave responsibility for planetary stewardship. International political organisations and national governments must foreground the climate-emergency issue immediately, urgently drawing up comprehensive policies to address it. Conventionally privileged nations must voluntarily fund comprehensive environment-protection policies in impoverished nations, to compensate the latter for foregoing unsustainable economic growth, and paying recompense for the planet-plundering imperialism of materially privileged nations. We must collectively do whatever’s necessary non-violently, to persuade politicians and business leaders to relinquish their complacency and denial. Their “business as usual” is no longer an option. Global citizens will no longer put up with this failure of our planetary duty.